Cape Town - Demi Lovato has never been shy to share personal details about her struggle with eating disorders, depression and self-harm. The Sorry Not Sorry hitmaker recently took to Instagram to share a fan-made before and after recovery picture of herself from the time she was suffering from eating disorders. The picture that was shared in an Insta-story shows the star looking scarily skinny a few years ago and a contrast picture of her healthy self now. She captioned the picture ‘Recovery is possible’. The 25-year-old opened up about her personal battle in her YouTube documentary, Simply complicated. She mentioned in the doccie that she had relapsed in 2016 due to her break up from boyfriend of six years Wilmer Valderrama. “When I was in a relationship with Wilmer I went three years without purging and when we broke up that’s one of the first things I did,” she said. 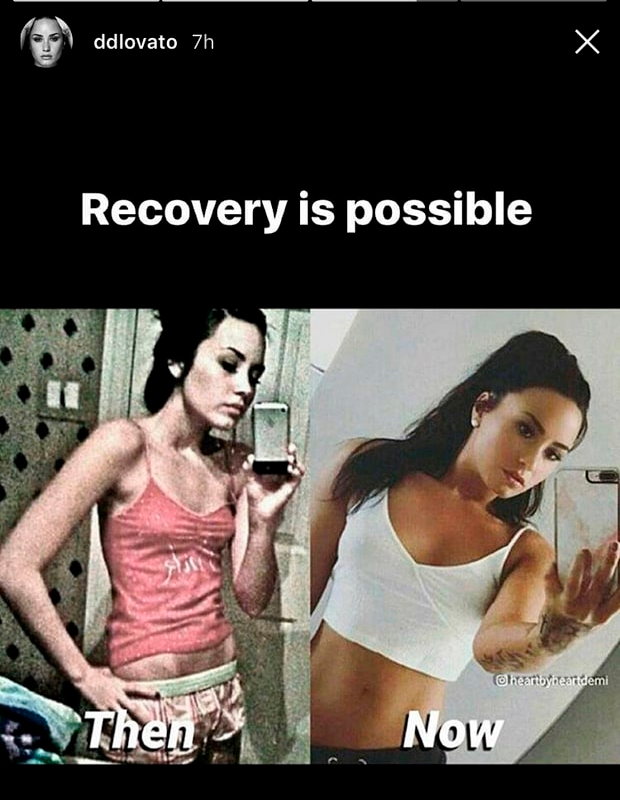 Demi – who has been clean from drugs and alcohol for close to five years – explained that her eating disorders started when she was still a child. “I would bake cookies for my family and I would eat all of them and nobody would have any to eat. That was my first memory of food being that medicine for me. Now, Demi says that exercise is what keeps her healthy and strong, reported The Fix.